On June 5th, we celebrated World Environment Day with this year's theme is "Beat Plastic Pollution!" As one of the five main initiatives of the Surfrider Foundation, plastic pollution is now recognized as one of the major threats to our ocean and coasts, and rightly so. 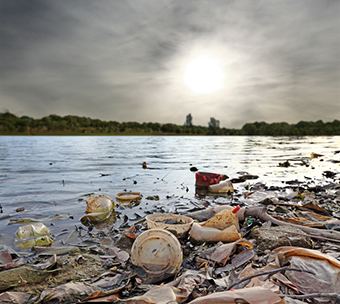 It is estimated that every year, 8 million metric tons enter our ocean, which is absolutely unnacceptable. However, a change in perspective and the way we use everyday essentials can make significant impacts on the health of our ocean, waves and beaches. In honor of World Environment Day, the UN released this video that shows what we can call do in our personal lives to reduce plastic waste. Modifying personal habits are a positive step. In addition, advocating for good policies that change the market for plastics creates systemic change and is something Surfrider volunteers fight for every single day. The Surfrider Foundation is on the front lines of the battle against plastic pollution, fighting for and leading state, local, and national policies that limit the use of harmful single-use plastic packaging. 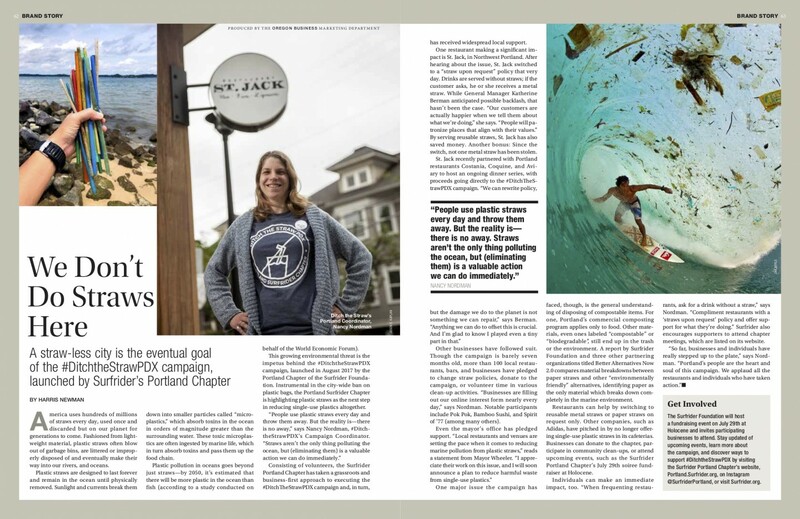 And Surfrider chapters from coast to coast are seeing historic wins and gains. On June 1, a historic plastic ordinance went into effect in Malibu, the birthplace of the Surfrider Foundation. This legislation is the first to ban plastic straws, cutlery, and stirrers all together. The state of California also made progress on a few of the many plastic pollution bills facing the legislature, including a mandatory "plastic straws on request" policy and a bill that require state parks and beaches to provide only reusable, compostable, or recyclable packaging passed through the state assembly. On the East Coast, the Surfrider Charleston Chapter had two major wins by passing a plastic bag, straw, and foam ban in the town of Mount Pleasant, while also defeating a preemption bill that sought to nullify local plastic ordinances. In April and May alone, the Surfrider Massachussettes Chapter helped pass several plastic pollution ordinances including four bills that ban or limit single-use plastic bags, a foam ban, and a plastic bottle ban in five different municipalities! While Surfrider continues to strongly advocate on policy, our plastic pollution programs continue to work on the ground, educating the public and working with businesses to proactively solve plastic pollution. Surfrider chapters across the country are running straw programs this summer and throughout the year to encourage businesses to stop using plastic straws. In addition, our Ocean Friendly Restaurants program has recognized over 500 restaurants in the country who have made the committment to stop using single-use plastic. Surfrider volunteers also continue to inspire and educate the public through beach cleanups that get the public activated and carry out events and educational activities with Surfrider's Rise Above Plastics program. On the international front, the Surfrider Foundation continues to collaborate with our national and international partners from the #breakfreefromplastic movement and work towards solutions that focus on source reduction of single-use plastics and hold businesses and corporations accountable for their contribution to the plastic pollution epidemic. Now is the time to change the narrative and #beatplasticpollution to protect our ocean, waves and beaches, and create a future where single-use plastics no longer rule the seas.